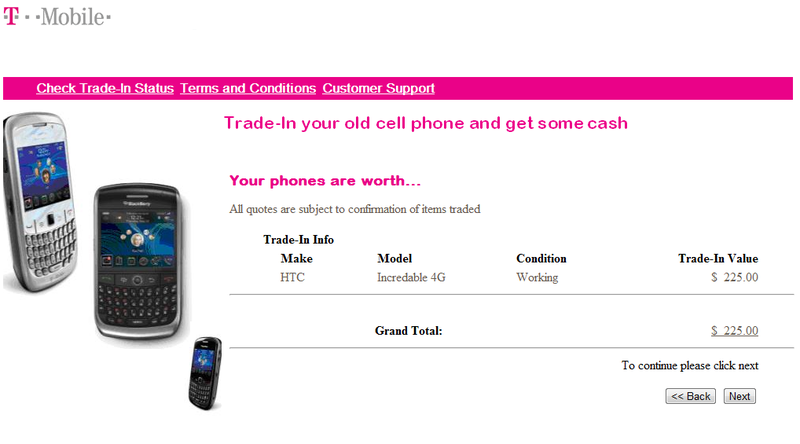 Trade Your HTC Incredable 4G Into T-Mobile and Receive $225 Credit – Wait, What? Misspellings and misprints are bound to happen. It’s a way of life and writing. Last week T-Mobile launched a new trade-in program where consumers can trade in their old handsets for instant store credit for phones, routers, and other accessories. Well that’s great news for me because I’m not really feeling this Droid Incredable 4G device I just prurchased and have been wanting to try a newer T-Mobile device. Nevermind the spelling error, I want to know when this device became on the cutting edge of technology with its 4G LTE speed boost. We’re hoping the lovely people at T-Mobile and The Wireless Source (T-Mo’s Partners in the program) start making sure they’re giving people the right information and definitely start using some good ol’ spell checker. If you’re interested in the trade in program and wanna see for yourself, head on over here.